A 2018 study by Hubspot found that a personalised Call to Action (CTA) button converted 202% more often than default versions (source) – so if you’re not currently personalising your SMS or SMS Landing Page campaigns, you could be missing out! 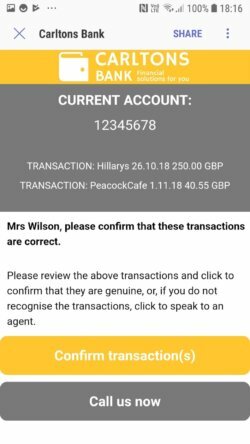 Fortunately, it’s very easy to create personalised content with the Messaging Studio. Any area where you can add text content can include merge fields – that includes the image and text content in the top section, the plain text middle section, and the CTA button section. 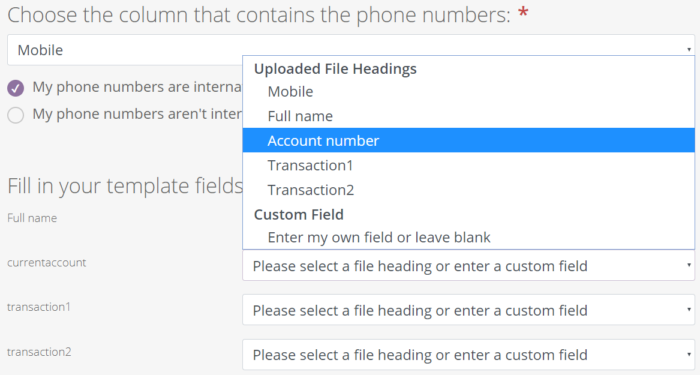 When you’re building your SMS Landing Page template, if you capture a word with two brackets as shown below, the system treats this content as a merge field. In this example, we have four unique merge fields: [[currentaccount]], [[transaction1]], [[transaction2]] and [[Full name]]. It doesn’t matter what the words are, as you’ll be able to map them to the correct data in your spreadsheet when it comes to sending the campaign (we’ll come to this shortly). Tip: [[Full name]] doesn’t take up much room, but if the customer has a very long name, it will take up much more room when the merge is completed. Just keep this in mind, as it might be better to create a new text block to include the merge data if it will look peculiar or be hard to understand if it appears on the same line as the rest of your text. 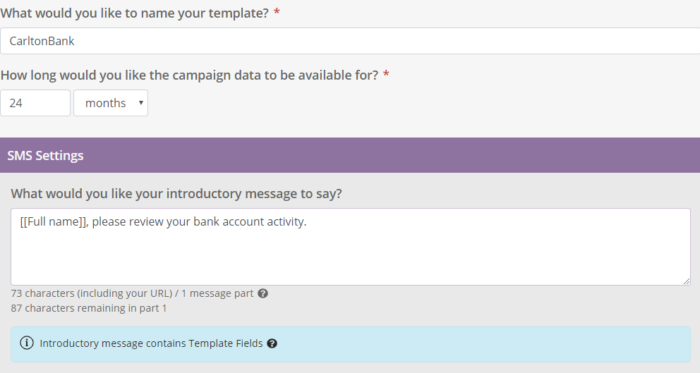 You will see that the system recognises the merge field and has flagged up an advisory message to say ‘Introductory message contains Template Fields’. 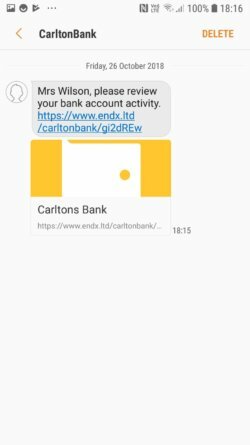 So, in summary, any text field in your SMS Landing Page can be personalised by adding a word or phrase surrounded by double brackets; the same applies to the introductory SMS message. Then, you need to ensure that your spreadsheet includes data to populate these fields, and map the two when you are ready to send your message. We would always recommend sending a couple of test messages to yourself and colleagues before committing your full campaign.